Uh oh. What happens when someone's BFF gets caught getting awfully close with that someone's ex-husband? If you're Kim Kardashian, the possibilities are endless. Coachella Weekend 1 finished up last night, and among the many wonderful performers were also the A-list celebrities in attendance, showing off their festival outfits and mingling with one another. 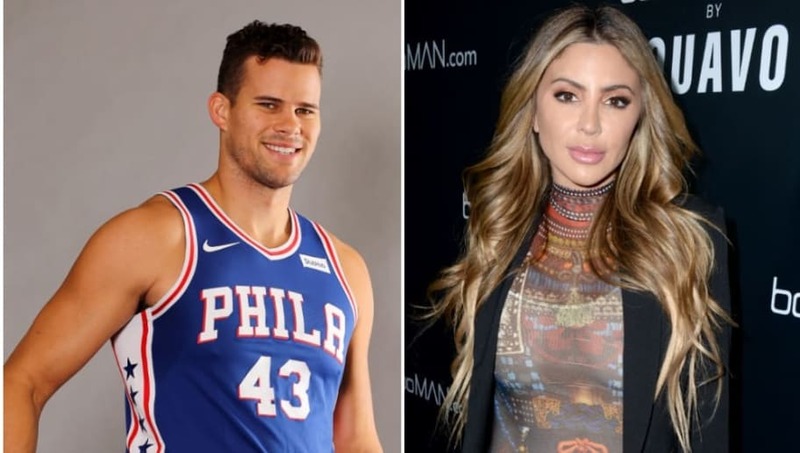 According to one report, Kim K's good friend Larsa Pippen was spotted, hanging out with none other than Kris Humphries. Random, right? An onlooker dished to Us Weekly that the pair was "hanging out by the VIP drink area at Coachella with a group of people," specifying "the two of them were talking and standing next to each other." The person also added that Kris was "touching her head and playing with her braids," a move which seemed "playful." The former NBA player apparently was also "leaning down to talk to her since he’s so much taller." However, it doesn't look like much came out of it. He allegedly moved on to talk to another woman soon after. According to the publication, this Coachella development comes just days after Kris was seen out on a suspected date with model Khloë Terae. As for Kim's part, we know she is totally over her ex. So perhaps him flirting with Larsa really wouldn't matter to her anyway. We'll see what other celeb interactions we hear about when Coachella continues this weekend.